How rampant is the sin of adultery? While an exact number is hard to pinpoint, on the low end of most surveys, approximately 25% of all married individuals will commit adultery during the course of their marriage. This is not just a minor problem, it qualifies as an epidemic, and Christians are not immune. Adultery is not a new problem among Christians. The Bible speaks of it often. Two of the Ten Commandments condemn adultery. The seventh commandment says, "You shall not commit adultery" and the tenth says, "You shall not covet your neighbor's wife" (Exodus 20:14, 17). Even in the first century, Jesus was asked to pass judgment on a case of adultery (John 8:4). Likewise, the apostle Paul had to rebuke the Corinthian church for tolerating the adultery that was in their midst (I Corinthians 5). Many of the Corinthians were formerly adulterers, but had overcome their sins with the blood of Christ (I Corinthians 6:9-11). It is unfortunate that so many fail to consider the awful aftermath of adultery! In the wake of something as horrific as a tornado, you will find broken houses, massive misfortune and even death. In the wake of adultery, you will find broken homes, ruined lives and worst of all, spiritual death. There is no image worse than a child trying whose life has been turned upside down in the aftermath of their parent’s adultery, especially when it leads to a divorce. With that in mind, I would like to consider the awful aftermath of adultery in the hopes of giving someone contemplating committing it enough pause to reconsider their sinful action as well as to help those who attempting to put the pieces back together after adultery has taken place. One of the greatest deceptions for an adulterer is the belief that they can or will get away with it. The Hebrew writer said, "Marriage is honorable in all, and the bed undefiled; but fornicators and adulterers God will judge" (Hebrews 13:4 -- emph. mine, jlp). The fact is, many who commit adultery will never admit to their sin. The wise man admonishes us, "He who covers his sins will not prosper, but whoever confesses and forsakes them will have mercy" (Proverbs 28:13). The inevitable fact of the matter is that our “sins will find us out” (Numbers 32:23). If you have committed adultery, confess that sin and forsake it now! It is better to be a penitent adulterer facing the consequences of their sin here and now than one guilty of adultery who must confess that sin at the judgment seat of Jesus Christ, where it will be too late for repentance (cf. Revelation 21:8)! Is Divorce Always Best Following Adultery? Make no mistake, God has unequivocally given you the right to put away your adulterous spouse and later remarry if you so choose (Matthew 5:32; 19:9). 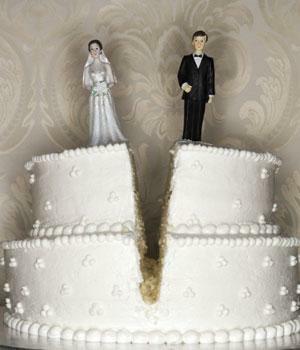 However, is divorce always the best and only option in the aftermath of adultery? Under the crushing pain of a betrayal of this degree, it might be hard to fathom the idea of continuing in your marriage. The right to divorce your spouse will resonate like a flashing red exit light in the back of a pitch dark room. Adultery does not always end in divorce. Many have chosen to rebuild their marriage after this awful act and have been rewarded with a happier and stronger marriage. It is possible! This is why, through your righteous indignation, you must remember that love “bears all things, believes all things, hopes all things, endures all things. Love never fails” (I Corinthians 13:7-8). Please consider the following thoughts as you make your decision. Though it is a challenge, it is critical to try to discern between a spouse who has made the worst mistake of his or her life and is filled with godly sorrow (cf. II Corinthians 7:10-11) and one who is genuinely reprobate (cf. I John 5:16-17). Giving an adulterous spouse a measure of mercy and grace, rather than giving what is deserved, might just save your marriage and make it stronger than ever. Remember, while God gives us an option to divorce an adulterous spouse, we are not commanded to divorce. Is your marriage worth saving, in spite of the awful atrocity committed against you? What is the true motive for your divorce? Many use adultery as the excuse to divorce for other reasons. Though rarely admitted, some are even complicit in their spouse’s adultery, in that they withheld intimacy from their spouse, sometimes as vengeance for other transgressions by the spouse (cf. Romans 12:17-21) and some purely in the hopes of gaining a “scriptural” exit from the marriage for some other cause. While such never excuses the adultery, Paul’s clear teaching in I Corinthians 7:1-5 will not be overlooked at the judgment either. Do not be deceived. Not only will the final action be judged by the Lord, God will look into your heart and know your motives (I Corinthians 4:5; I Samuel 16:7). Are their children involved? Innocent children are often the biggest victims of the ensuing violence of a divorce. Before you choose divorce, please ask yourself what will your divorce do to your children? Likewise, if your spouse is reprobate, you might painfully need to ask what not divorcing your spouse will do to your children? It matters not whether they are young or old, they will be greatly impacted by your divorce. While your children should not necessarily be the sole motivator to give your adulterous mate another chance, they should not be carelessly brushed aside as the collateral damage of the choice you are about to make (cf. Matthew 18:6-7). Have you reflected on your vows made before God? Vows before God should never be dismissed lightly (cf. Ecclesiastes 5:4-5). I believe firmly that by giving you the right to divorce your adulterous spouse, God excuses you from that vow. However, the words “for better or for worse” should be given their due consideration in light of this monumental decision, particularly in those scenarios where there is even a glimmer of hope for continuing in a happy and successful marriage after the wounds are healed. As a penitent adulterer, you must come to terms with the fact that you have been given some precious gifts. The same passages that give your spouse the right to divorce you for your adultery and later remarry another also plainly declares that if the spouse who is put away remarries, he/she commits adultery (Matthew 5:32; 19:9; cf. Romans 7:3). Since we know that no adulterer will enter heaven (I Corinthians 6:9; Hebrews 13:4; Revelation 21:8), it becomes obvious that had your spouse divorced you for your adultery, you would have been obligated by God's law to remain celibate for the kingdom of heaven's sake (Matthew 19:11-12). If you are fortunate, your spouse will choose to forego this right, essentially giving you another chance at a married life that includes heaven. Even more important than this is the fact that God has given you another chance at heaven (I John 1:8-9). An adulterer certainly deserves neither of these precious gifts. Therefore, your attitude should reflect a constant state of gratefulness. As a penitent adulterer, you must be willing to accept the consequences of your infidelity. You have no right to demand the instant restoration of trust to its former status. You proved yourself untrustworthy in a relationship that involves trust on the most intimate level. If your spouse questions your trustworthiness, you need to accept that as a consequence of your own actions (cf. Proverbs 25:19). You have earned that lack of trust. Therefore, your attitude must demonstrate your willingness to earn back that trust (cf. II Corinthians 7:11). As a penitent adulterer, you must be prepared for Satan to use your adultery against you (cf. II Corinthians 2:11). Temptations realized cannot be unrealized. Things seen cannot be unseen. Adultery cannot be unadulterated. Your conscience will be impacted. You will have ghosts that can haunt you for the rest of your life. This is why you will need to be twice as vigilant as the next person (cf. I Peter 5:8-9). You will also need to be even more prayerful (cf. Luke 22:40) if you are to avoid future temptations in this highly recidivistic sin. Let's face it. Adultery is not something you can undo. While you can be sorry for it and you can repent of it, you cannot take it back. Nor can you pretend it did not happen. You must realize that your adultery has inflicted some severe wounds. As is the case with all severe wounds, they will take time to heal and there will be scars. This is part of the awful aftermath of adultery. If you choose to continue in your marriage despite your spouse's adultery, there will be challenges you will face. Forgiveness is not an option, it is mandatory, whether you divorce or remain married (Matthew 6:14-15). In the spirit of forgiveness, while your spouse cannot demand it of you, your Lord expects you to restore your spouse (cf. II Corinthians 2:1-11). Though not easy, this is an essential part of the rebuilding process. You cannot hold the sin of your spouse's adultery over his/her head and expect the healing to begin. Perhaps it would help to reflect on the love of our Lord on the cross as you dress the wounds your heart has endured, for it was our Lord who forgave those who nailed Him to cross, even though it was they that He died for in the first place (Luke 23:34). And if you believe the Lord's mercy is beyond you right now, then reflect upon Stephen, who forgave those who stoned him to death for telling the truth, even as the rocks were still leaving their hands (Acts 7:57-60). You both must accept the fact that the relationship is broken (or at the least, severely damaged). It will need a great deal of careful and prayerful repair. It will require an extra measure of love, patience and diligence, but by the grace of God, the relationship can be rebuilt. Realizing the love of God in your lives, you can rebuild your broken home.